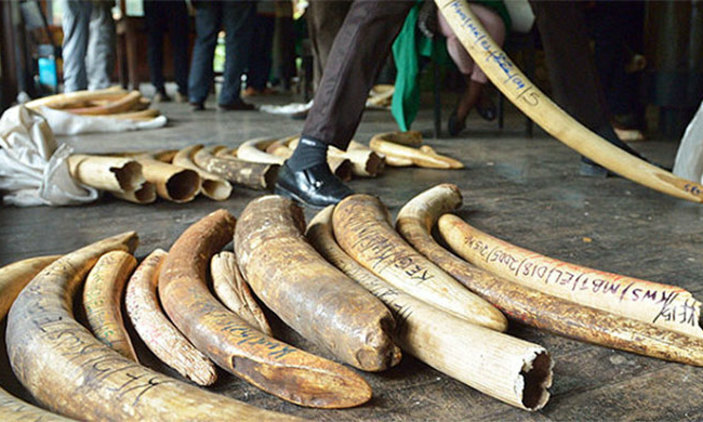 KAMPALA – The International Conference for Great Lakes Region has started formulating stringent laws to curb rampant illegal trade in wildlife species that are traded all over the region. The third Great Lakes judicial cooperation network meeting in Munyonyo is also seeking a strategic joint security management of common borders to end illicit trade in wildlife. According to International Conference for Great Lakes [ICGLR], the idea is to have each of the designated border zones to benefit from systematic and joint efforts by the respective neighboring countries to manage wildlife species and to promote common development along the border areas to reduce incidents of game poaching. While addressing the third Great Lakes judicial cooperation network meeting in Munyonyo 13 November Mr. Mike Chibita, the Director of Public Prosecutions (DPP), said that despite the abundance and diversity, wildlife species are under serious threat which calls for deterrence to breed a law-abiding citizenry. “The existing law on Illegal Wildlife Trade must be enforced in order to punish and deter the vice. Over time, the judicial system has woken up to the reality that punishment through incarceration for economically motivated crimes like illegal wildlife trade, is not punishment enough and therefore not a sufficient deterrent,” Mr Chibita said. He explained that traffickers in illegal wildlife trade cross borders operating from the Democratic Republic of Congo and anywhere with no respect to borders. “You can find that you are handling elephants that were poached from Central Africa and transiting through Uganda and this calls for cooperation within these countries to ensure borders do not restrict our fight against impunity. The law must be in place to punish illegal wildlife trade,”Mr. Chibita added. He described illegal trade in wildlife species as a multi-billion dollar industry which has compelled actors to intervene and that Wildlife trade has escalated into a crisis because there is an increasing proportion is illegal and unsustainable which is directly threatening the survival of many species in the wild. The ICGLR is holding a two-day meeting to provide a platform for judges, directors of public prosecutions and CID directors from the 12 member states to share experiences and knowledge, plan together and prosecute criminals without the hindrance of borders. Mr Wilson Kajwengye, the ICGLR (International Conference on the Great Lakes region) Director of Peace and Security, observed that the Great Lakes region still experiences security challenges ranging from cross-border crime such as terrorism, illegal exploitation of natural resources, continued cases of subversion in some of the member states, sexual and gender-based violence (SGBV) and illegal wildlife activities. Ms Karen Kramer said, the representative of the Special Envoy of the Secretary-General for the Great Lakes region, said promoting justice and addressing impunity are key pillars of any regional effort to promote peace, stability and development. She said the Peace, Security and Cooperation Framework calls upon the regional states to neither harbour nor protect any person or group accused of serious crimes. “The Great Lakes must not lag, particularly given that many of the serious crimes committed in the region are of trans-border nature. No matter how efficient national judicial systems are, efforts deployed at the national level only, would not help in eradicating the transnational organised crime that has plagued this region for decades,” Ms Kramer explained. Reports from wildlife experts indicate that globally, environmental related crimes are estimated by the United Nations to cost $213 billion per year with $23 billion (10.8 percent) attributed to wildlife trafficking alone. Prof Akankwasah Barirega, the acting commissioner wildlife conservation at the Ministry of Tourism says the price of ivory for instance, increased from $5 per kg in 1989 to a wholesale price of $2,100 per kg in China in 2014and that between 2009 and 2014, about 170tonnes of ivory was trafficked accounting for death of about 229,729 elephants. Prof Akankwasa says the scale and scope of the problem continues to grow at an alarming rate, certainly reversing decades of conservation gains and adds that evidence from scientific studies in East Africa indicate that 5,645 elephants were poached in 2010; 10,631 elephants in 2011 and 8,515 elephants in 2012. He added that annual Illegal wildlife trade seizures in Uganda alone have moved from 6 in 2000, 21 in 2005, 23 in 2011, 22 in 2014 and to 19 in 2015 and that annual poaching incidences across Uganda have increased from 12 in 2000 to 65 in 2004, 172 in 2007, 214 in 2010, 217 in 2014 and 291 in 2015.